Harry was starved of oxygen at birth leaving him with a life of challenges. The bed Harry was sleeping in was no longer suitable and as the local council could not provide a new bed Harry faced the possibility of sleeping on the floor. We refused to let this happen and we started to help Harry and his family fundraise. Harry’s family raised an amazing £5000 and the foundation granted Harry another £5000. Before we had the time to raise the remaining funds their family’s local council came forward and donated the bed Harry needed! 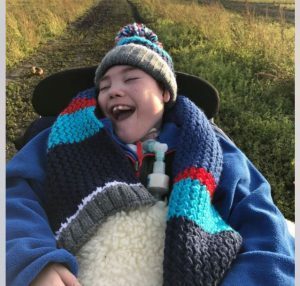 Which left the family with not only a new bed but also £10,000 to spend on home adaptions and other pieces of equipment Harry needed.